If you’ve ever spent any amount of time traveling outside of the United States, then you may have discovered that, despite using the same basic equipment and concept for connecting to the Web, there are certain places in the developing world where getting a steady connection is, to put it lightly, extremely problematic. That’s where the folks at Ushahidi come in. 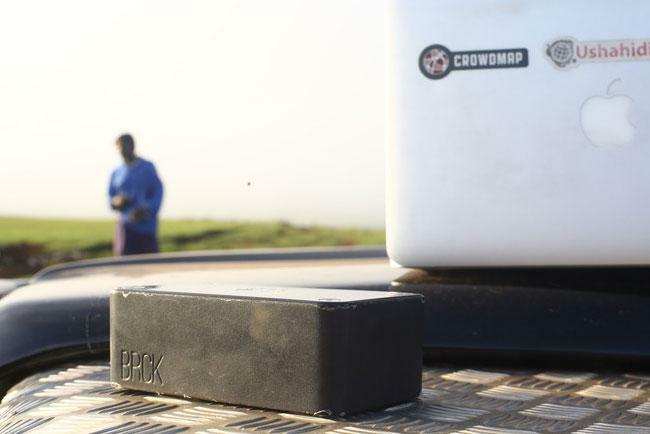 The company launched a Kickstarter campaign this past Sunday to raise funds for a new devices it created, called BRCK (pronounced ‘brick’). The device, touted as “a backup generator for the Internet,” works by helping to keep you connected, even if the power goes out, or if the local Internet connection fizzles out. What’s more, as many as 20 separate devices can stay connected to the Web through a single device. It also comes with 16GB of storage, so you can even use it as a backup network drive. In less than five days, the company has already raised more than $60,000 of the $125,000 it needs to get production started. For the initial production cycle, 2,000 devices will be created and retail for $200. But after round one, the company plans to drop the cost, likely to help make these devices more accessible in the markets that will need them the most. The Kickstarter campaign ends early June and, as long as the total funds are raised (which seems inevitable), we should see BRCK available to the public toward the end of this year.